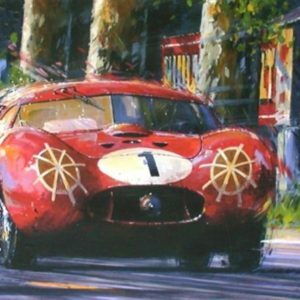 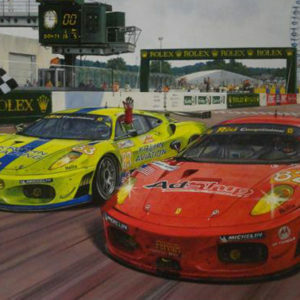 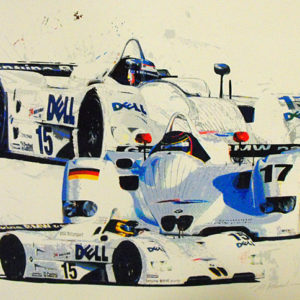 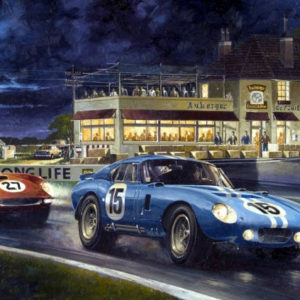 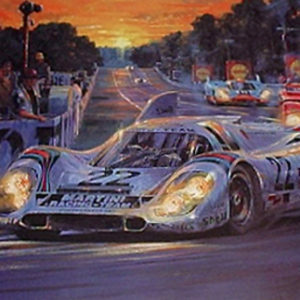 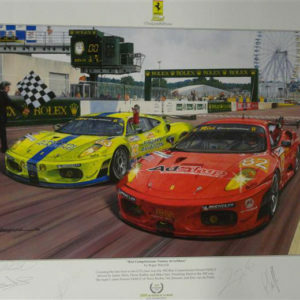 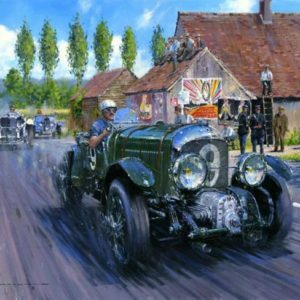 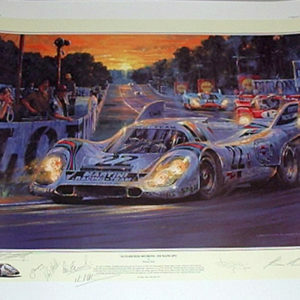 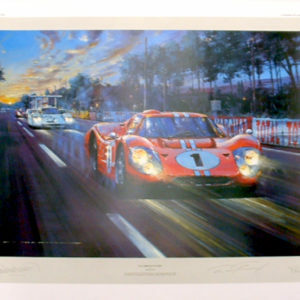 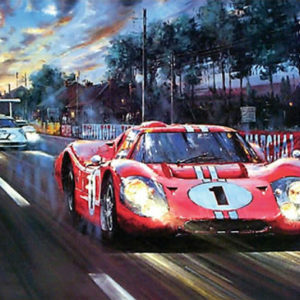 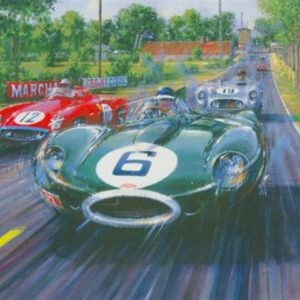 Edition of 500, Autographed by Gijs Van Lennep and legendary Porsche driver Hurley Haywood. 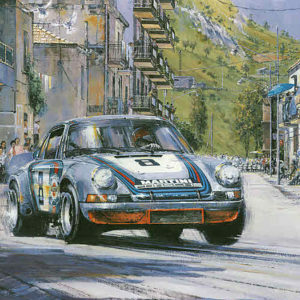 and Nicholas Watts. 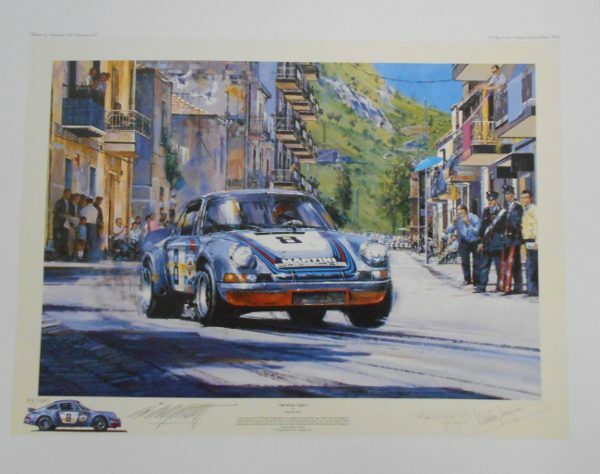 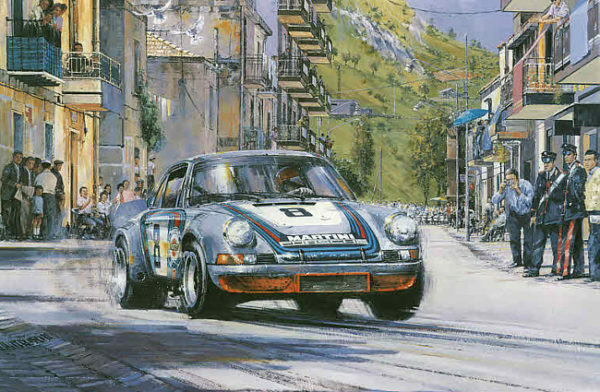 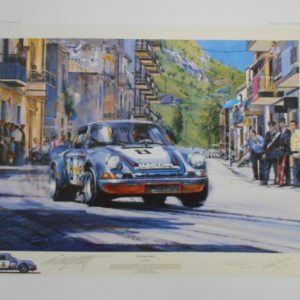 This stunning print shows the victorious Martini-Porsche 911 Carrera driven by Herbert Muller and Gijs Van Lennep driving through the village at the 57th Targa Florio, Sicily on May 13, 1973.